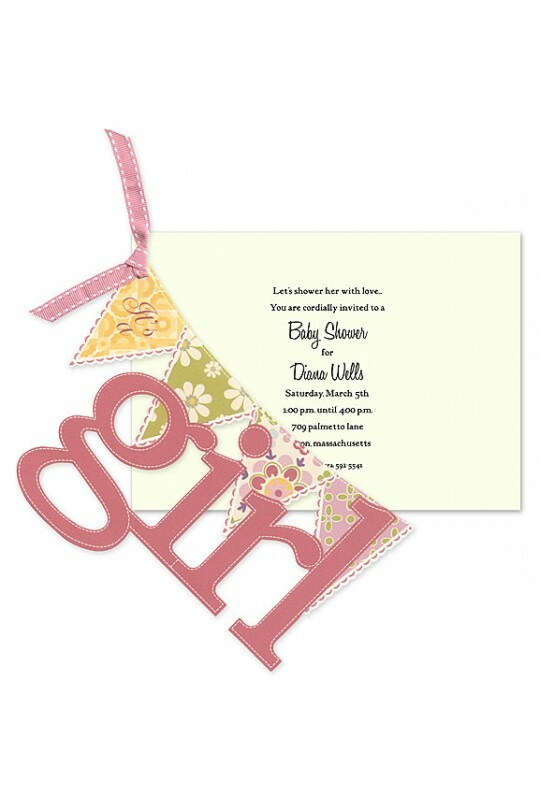 This 5" x 7" two piece invitation is perfect for a boy girl shower or for use as a birth announcement. 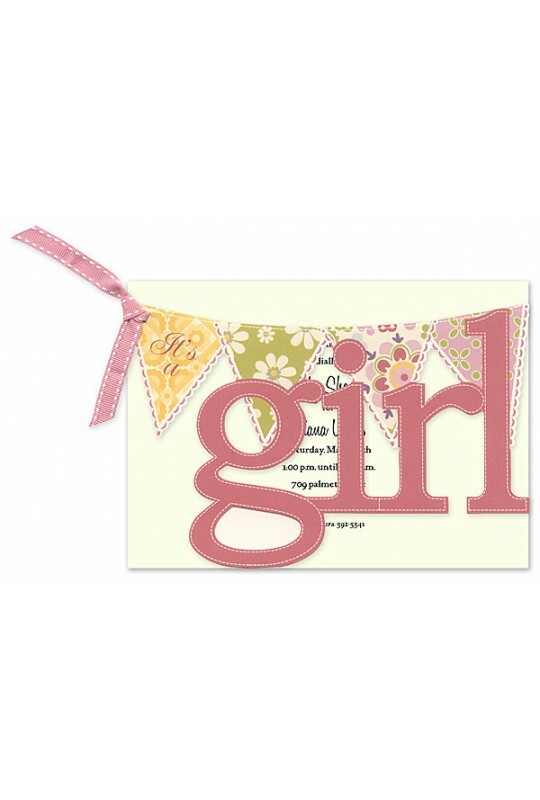 Your text is printed on a separate card that is attached to the "girl" die-cut. 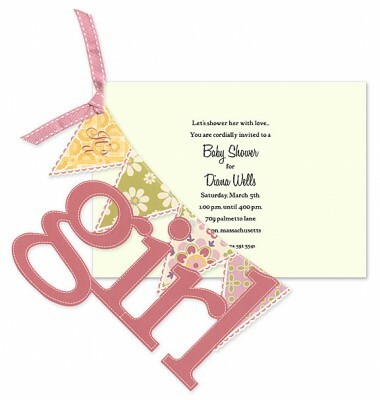 White envelopes included, attachment of die-cut to text card required.